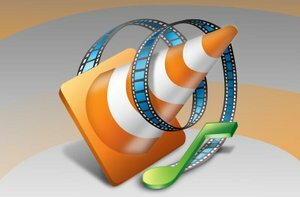 ﻿ How to burn VLC media files to DVD easily? How do I burn VLC media files to DVD so that I can watch it on my home DVD player? I downloaded VLC media player movies (most of them are AVI and MP4 videos), but I can't get them to burn on to my DVD's. Does anyone know a VLC to DVD converter that is good to use to burn VLC videos to DVD disc. I really want to know. It plays on my computer with VLC player, but I wanna watch it on my TV screen. Any VLC to DVD converter? VLC is a portable multimedia player, encoder, and streamer supporting many audio and video codecs and file formats as well as DVDs, VCDs, and various streaming protocols. 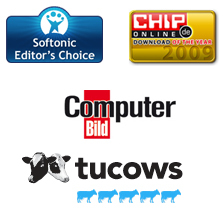 It is able to stream over networks and to transcode multimedia files and save them into various formats. Basically, VLC is not a kind of video file like AVI, MP4. To burn VLC media files to DVD, you are actually burning a specific video files whatever you watched with VLC player. This makes things much easier. 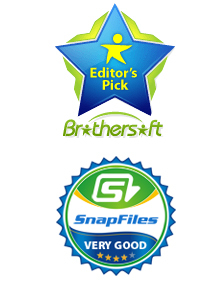 To burn a video file to DVD, you need a DVD authoring tool which is able to finalize the DVD. Just copy VLC media files to a DVD disc, it will actually not read by your DVD players. DVD Creator is specially designed for you to burn DVDs from all kinds of videos, including AVI, MP4, MPEG-4, MPG, MPEG, WMV, MKV, MOV, 3GP, ASF, RM, RMVB, DAT, FLV, MOD, and HD videos like AVCHD, TP, TRP, TS, MTS, M2TS, etc. You can convert VLC to DVD easily with it. Check out this tutorial below and learn how to burn VLC to DVD easily and effectively. Download, install and launch this professional VLC to DVD converter. Click Add button to browse your computer and add the VLC media files to this tool. Drag the imported VLC files to storyboard below to make a DVD project. If you want to do some editing to your videos, this too lets you crop, trim, add watermark, etc. Also, you may select your favorite DVD menu from the built-in menu collections. You may even customize the menu background with your own picture to make a real personalized DVD. You may skip this step by using the default settings. Insert a blank writable DVD disc into your DVD burner drive and click on Start button to burn VLC videos to DVD. While the burning is in process, you are free to do anything. Once the burning is finished, you will be able to watch it on your home DVD player. This DVD Creator could also burn many other videos to DVD disc.